The Grid sharing solar UPS works without any change-over. The total load is shared by the solar MPPT and the utility during mains availability and between battery and solar power during mains power failure. Efficiency is the most important factor in a solar system which can be defined as the conversion of the available solar power to useful electrical energy to the load. The inverter efficiency significantly improves overall efficiency but the measure of utilization of the complete power from solar is dominantly the key factor to be emphasized. The inverter efficiency is generally emphasized; however the utilization factor is seldom indicated. Solar system overall efficiency is combined contribution of three sections namely MPPT converter, inverter and most importantly the utilization factor. The utilization factor however is the most significant parameter and new generation energy experts has realized this and is given due consideration. 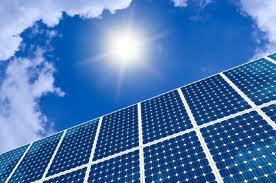 The utilization factor can be explained as the measure of solar energy utilized to available solar energy. The output of MPPT is fed to the power sharing module which ensures that the maximum power from solar is utilized for the inverter to function. If the solar panel power availability is adequate to cater to the load demand, no power is drawn from the grid and the solar power shall take care of the battery charging. The power from mains is conditioned (using AC-DC-AC conversion) in the Grid shared concept and hence some are of the opinion that the efficiency on mains mode is compromised, but this ambiguity is unfounded as the very purpose of using solar concept is to minimize the mains power dependency, with efficient planning only a fraction of the mains power is utilized. 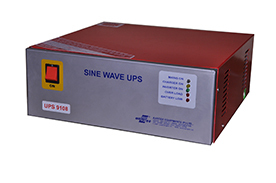 The UPS output gives conditioned power without any change-over and hence is ideal for critical applications like servers, diagnostic equipment and process machineries. The intelligent module utilises the entire power available from solar and in the event of a short-fall in power availability from solar, the mains power is drawn to compensate the deficit of power. For example: If the total load is 10KW and we use a 10KW Grid sharing Solar UPS with 10KW Solar panel ,under normal conditions the entire 10KW power is supplied by the Solar energy and no power is drawn from mains. But if the solar power falls down to 9KW due to reduced sunlight intensity, then the deficit 1KW power is drawn from the mains/ Battery bank and rest 9KW from solar. 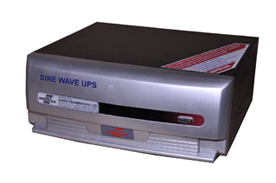 Power sharing in GSS UPS for catering to the load can be configured as per requirement, with primary source as Solar power, secondary source as Grid, Battery as third source or with primary source as Solar, secondary source as battery bank, Grid power as third source. It can also be configured to work only on Solar and Grid without battery bank with Solar as the primary source.